Dare I say that it's still snowing around here? The only good thing about cool weather is that heating up the kitchen for dinner is welcome right now--not so much, however, in summer in my air-condition-less house. 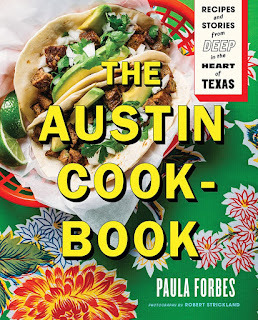 If you follow me on Twitter or Litsy, you may have caught a couple of mentions of Paula Forbes's The Austin Cookbook (Abrams, March 20), one of the wonderful cookbooks I got as part of the Abrams Dinner Party program. 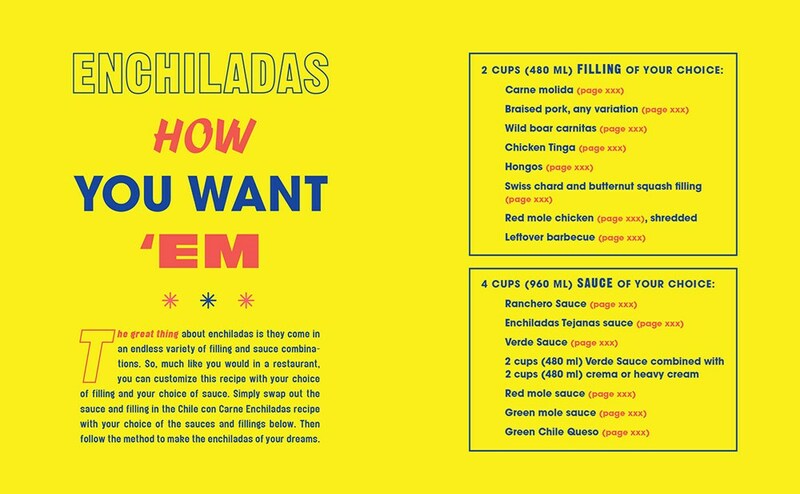 We love Southwestern flavors, so I was sure this cookbook would be a hit. I'm not going to write up a formal review, but I can tell you the beans and rice, the chipotle grilled lamb chops, and the enchiladas Tejanas (a kind of enchilada casserole) were all fantastic. I have a bunch more pages marked to try, such as a meaty cheese dip, gingerbread pancakes, and a whole variety of tacos and enchiladas and their sauces. The Austin Cookbook is more than just recipes, and I've been enjoying the tips and stories that are sprinkled throughout the pages. I especially like the informative graphics, like this mix-and-match enchilada chart. Heat a skillet until very hot, nearly smoking [I used cast iron]. Add the oil and immediately add the poblano and onion. Season with salt and pepper. Cook stirring constantly, until the vegetables begin to soften and brown on the edges, 3 to 5 minutes. Remove the vegetables and repeat with the mushrooms, cooking until the edges just start to brown. Combine the mushrooms with the other vegetables. 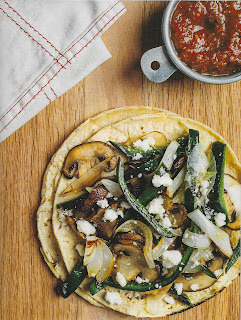 To serve, fill the warm tortillas with the hot filling and desired toppings. Those tacos look great. I may have to get the ingredients and make them this very night! Those tacos look easy and delicious! I love that mix and match enchilada chart. I need to check this cookbook out. I am sorry to hear about the snow, seems so late to get hammered with it. Ugh. My daughter in law is currently in Omaha starting up a new job and wow, they still have horrific weather. I don’t know why that place is more appealing than Florida but...whatever! Love the cookbook, Southwest cooking works for me and easy stuff! I’ll defcheck our library. 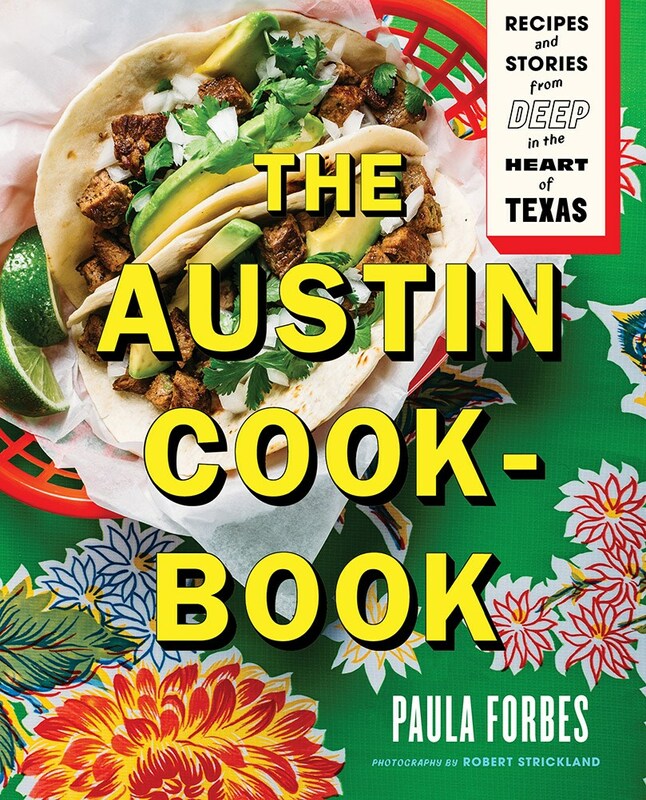 Having taken a look at this cookbook, I can say that it does show off Austin as a great place to eat. And I've been a resident of the Austin area for almost 50 years (my family moved here from another part of Texas in 1970). It has definitely changed and grown and there are certainly tought-to-get-used-to aspects of that. However, lots of things are better, newer, different and some of the same old places are still around. So, BBQ - we've got it. Tacos - yep, all kinds. Tex-Mex - yes, indeed. And food trucks galore with all kinds of great food. I don't eat at all the same as I used to, but there are lots of fresh food options on my plate these days. Glad you found some recipes that would work for you. And here's hoping the snow is on it's way out. Still cold and snowing too! I also did some good warm cooking this week along with some outings. Every time I've visited Austin I"ve been impressed by the food, and by all the markets and styles that seem to originate here. Whole Foods, for example, started in Austin (and I am a big fan of Whole Foods). The surrounding little towns have some terrific barbecue places, too. I hope you'll find a lot of variety in this cookbook. PS -- Mr. Linky has been better behaved in recent weeks. 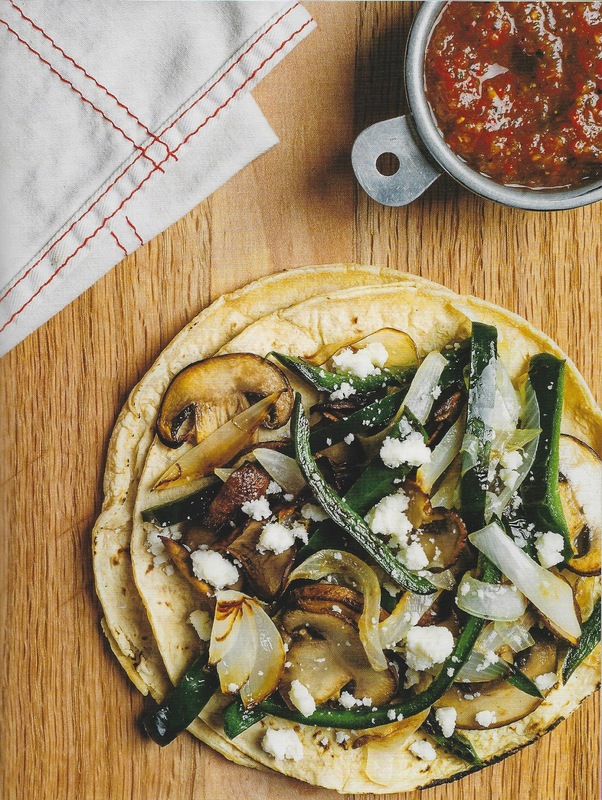 Those tacos look and sound delicious and the cookbook definitely looks worth checking out. My kind of food, I would love this cookbook! This sounds like a great cookbook and I love that you went vegetarian. Thanks for allowing me to link up. Off to go see what the others are sharing. Oh boy!! I love the sound of those tacos. Will have to check out that cookbook. These tacos sound delicious. I posted a deviled egg taco a few years ago that was delicious and I like the no meat option. I DO NOT NEED ANOTHER COOKBOOK but will definitely check this one out. Thanks!